Depending on which country you visit, you can almost always find a group of Canadian expats living abroad. 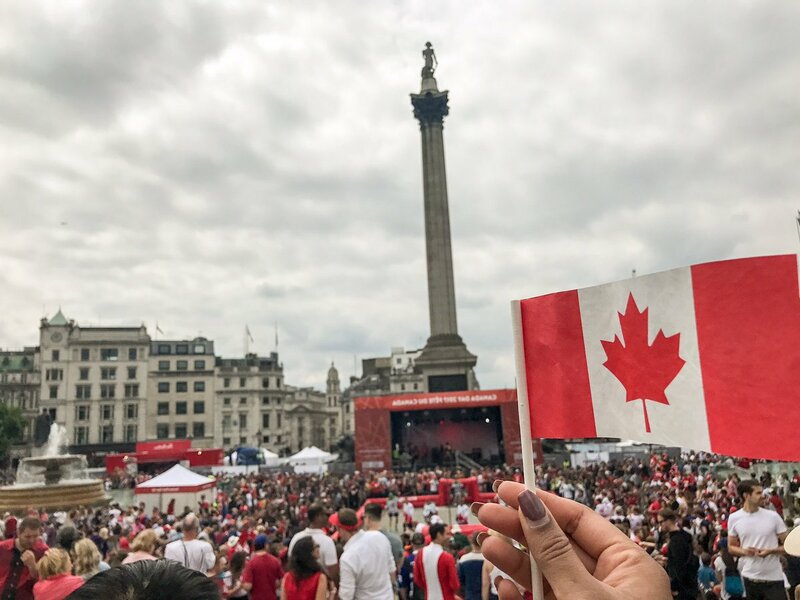 I visited Canada House in London, and was pleasantly surprised by the thousands of Canadians celebrating Canada Day in Trafalgar Square! There were also Canadian-themed bars and restaurants in London, in case you miss the taste of poutine. The most valuable aspect about the Queen Elizabeth Scholarship is the vast opportunity for mentorship and community. I found it incredibly useful to seek advice from previous QE scholars, through both informal meetings and formal training sessions. I not only asked questions regarding specific skills for the internship, but also how to optimally arrange flights, organize accommodations, and adapt to navigating a new country. Take advantage of what’s free and what’s almost-free! There is no shortage of beautiful, free tourism attractions in the United Kingdom. In Oxford, my favourite lunchtime spots were the Ashmolean Museum and local art galleries. On weekends, I would head over to London and visit the Wellcome Collection and Natural History Museum. Many colleges, gardens, and libraries would also offer free admission for students with a valid Student ID. My NHS badge also provided handy discounts on food at local restaurants and cafes. Ask your colleagues and local students for their favourite spots to visit. It can often be difficult for students to find opportunities to both learn and practice tangible skills. I was particularly interested in how to best use systematic reviews for decision-making in the humanitarian sector, so I attended a wonderful course that was offered by Evidence Aid. I left the course not only more confident in my abilities, but also with a list of resources and potential contacts. My favourite part about Oxford was that the city truly is a hub of learning, with tons of opportunities to attend workshops and courses related to specific skills. There are always mentors who are willing to help students – the key is to find them! Seek advice from your colleagues, attend networking events, and follow-up if necessary with your mentors. Whether it’s inspirational career advice or merely directions for public transport, take the time to listen to those around you and gain insight. I am so grateful to the wonderful people I met at the NHS, Evidence Aid, and Cochrane – my time in the UK would not have been the same without them. When I was in the United Kingdom, the threat of terror was all over social media. I made sure to regularly check Travel Canada for travel advisories, in addition to following the Travel Canada and local police departments on Twitter. I also regularly checked in with my family and supervisors back in Canada. It was important to stay informed and take necessary precautions. I am so grateful that throughout my internship, my mentors provided me with amazing yet challenging opportunities. From writing a manuscript with the NHS to showcasing a video tutorial with Cochrane, I constantly was trying new things. Whenever I felt out of my depth, I took time to learn from those around me and gain feedback. It would have been easy to volunteer for tasks that I already knew how to do reasonably well. However, I tried to be comfortable with not knowing the right answers, which helped immensely with my growth. Throughout my internship, I took time to shadow clinicians working within the NHS to see the effects firsthand of health policy and systems evidence. 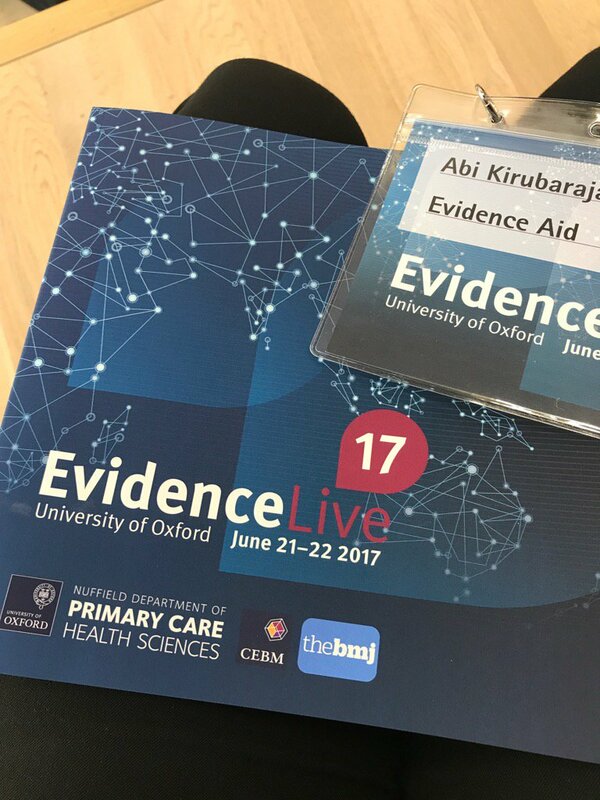 I also attended conferences, such as Evidence Live in Oxford, which featured stakeholders and cutting-edge research. With the help of my support system in Oxford, I was able to also visit Cochrane’s international office and the Centre of Evidence-Based Medicine. These were great learning opportunities to put my work into a greater context, and learn from people who had tacit knowledge. Ultimately, no internship experience can be perfect. My challenges abroad included my complete lack of understanding of the Underground, the steep prices of living in Oxfordshire, and constant challenges finding accommodation. There was also a steep learning curve at work, due to my lack of familiarity with the NHS and the United Kingdom political system. While these obstacles could often be frustrating, I ensured that I remained positive and sought help from those around me – whether that was learning about a cheap Thai place (e.g. Sasi’s Thai in Covered Market) or asking to clarify NHS terminology (e.g. the significance of “Bands”). Ninety days sounds like a long stretch of time, but I found that the weeks flew by. I truly underestimated how quickly the time would pass. I found it helpful to make a list of goals for my summer, including places to visit, people to meet, and tasks to accomplish. Taking my plans week-by-week allowed me to stay on track with my budgeting of both time and money. Whether it was through a tweet or a meet-up, I truly appreciated the QES community both in the United Kingdom and abroad. 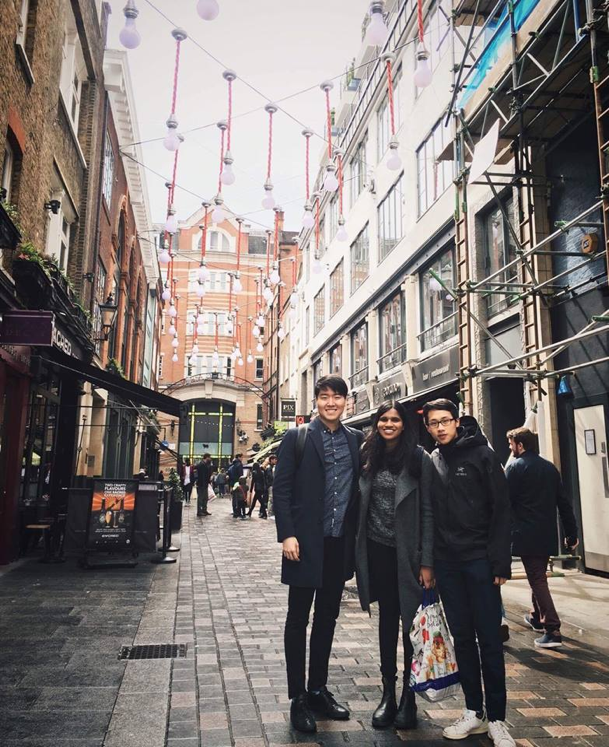 The support of the other scholars allowed me to feel connected – we explored together, discussed our internships together, and bonded over the shared uneasiness of living in another country. I also Skyped regularly with other QE scholars across the globe, in addition to checking in through Twitter and social media. While navigating the timezones could get messy, it was definitely worth it!